These lightly perfumed soy candles can be used at home or great gifts for friends and relatives. 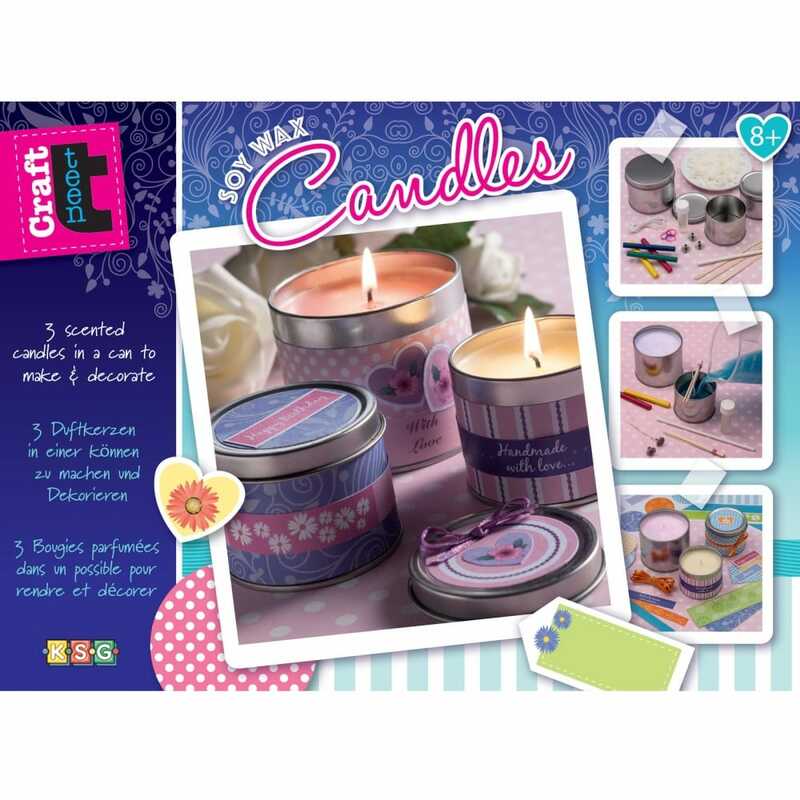 Decorate and create your own designs on the tins. Contents: soy wax, 3 candle tins, coloured dyes, perfume, self adhesive stickers, wick, sustainers, elastic bands, wooden sticks, ribbon, mould seal, rod and instructions.